The Supreme Court has issued a notice to chief secretary of Madhya Pradesh and chairman of six private medical colleges on the matter of violation of its order regarding admission for MBBS course in these colleges. The notice has been issued on a contempt petition filed against them for violating the order. 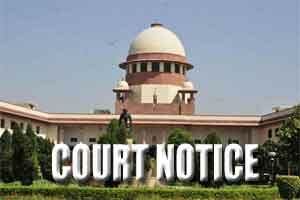 The medical colleges have allegedly admitted 721 students under management quota against the order of the apex court. Justice Dipak Misra has also issued notice to principal secretary of medical education department of the state. Status quo, the court now seeks a response from the 6 private medical colleges involved in the matter. The colleges are Chirayu Medical College & Hospital, R. D. Gardi Medical College, Sri Aurobindo Institute of Medical Sciences, LN Medical College & JK Hospital, Index Medical College Hospital & Research Centre, Peoples College of Medical Sciences & Research Centre. The six private medical colleges in the state are reported to have received an approval from MCI for 150 MBBS seats (as per the Minimum Standard Requirement under Admissions Annually Regulations, 1999 of Medical Council of India). While hearing a contempt petition (which alleges that the state government and chairman of all six private medical colleges have indulged in unlawful acts), filed by whistleblower Dr Anand Rai and a medical college aspirant Abhinav Dubey, the apex court has sought replies from respondents within four weeks on why the seats were not adjusted despite Supreme Court judgement of Mridul Dhar in 2004. As reported by TOI on the facts of the case, Advocate Amit Shukla, appearing for the petitioner, contended that the private colleges be directed to surrender 721 seats for admission under state quota. “Private Medical Colleges exploited the liberty given by this court whereby the Court granted permission to fill the state quota seats through management quota candidates. The colleges, however, had deliberately chosen not to adhere the second critical condition of the direction that the management quota seats for the next academic year would stand reduced so as to set off the effect of excess admission in the management quota in the previous academic year,” the petition said. Appellate Authority of Admission and Fee Regularity Committee (AFRC) in its order dated May 2015 had affirmed that the admissions in private medical colleges in Madhya Pradesh were in violation of various orders passed by Supreme Court.